Halloween is a favorite among kids – all the costumes, candy and fun crafts and treats give them lots to love! If you’re hosting a Halloween kids’ party this year, are in charge of games for your child’s classroom or just want to play some fun games at home, there are tons of Halloween themed games you can find around the internet. Here are our top 10 fun Halloween games for kids to get you started. 1. Pumpkin Toss Game – All you need is a cardboard box and some poster board to create this fun target toss game. Use orange ping pong balls or tennis balls for ammunition – or if you’re playing outside you could even use tiny pumpkins! 3. Skeleton Scavenger Hunt – The scavenger hunt described at the link used plastic skeletons broken into pieces and hidden around the neighborhood, then snapped back together as they were found. But you could do the exact same thing using cardstock skeletons you’ve created yourself and hiding them anywhere you’d like. Then use tape to put the bones together. 4. Unwrap the Mummy – This is pretty popular as a birthday party game (minus the mummy theme) and kids love it! Wrap up Halloween toys and candy in a roll of toilet paper, glue on googly eyes and let the kids at it! Each child takes a turn unwrapping until they discover a prize, then pass it to the next child who continues. Everyone wins! 5. Web Walk – Don’t tell the kids, but they’re actually learning as they play this game! Tape off a web on your floor with painter’s tape. Scatter spiders all throughout the web. The kids have to walk the lines of the web and pick up all the spiders to win, but if they step off the web or fall they have to start over at the beginning! Make it more difficult by adding “ghost” obstacles! Encourage problem solving, critical thinking and gross motor skills! 6. Witch Hat Ring Toss – Repurpose your diving rings for this toss – which is made with paper cones and foam board. It’s inexpensive to create and you’re kids will have a blast matching the rings to the buckles on the hat and trying to get them all! 7. Lair of the Spider Queen – Make an obstacle course in your hallway with white streamers – the spider’s web! Decorate the hallway and streamers with small spiders (and a big spider queen if you have one!). 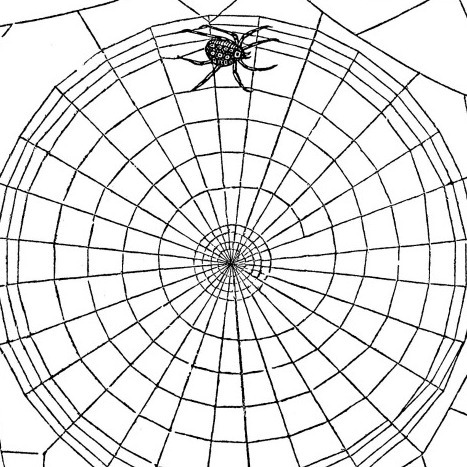 Then the kids can have a fun time trying to make it through the web without knocking down any webs. 8. Tin Can Bowling – Paint and decorate empty tin cans headed for recycling to look like Halloween monsters. The kids can help you for even more fun crafting time! Then set them up as bowling pins and take turns using a tennis ball to knock them all down. 9. Pin the Bowtie on Mr. Bones – Use the free template to cut out Mr. Bones the skeleton. Create bows out of ribbons and add glue dots or double sided tape to the back. Blindfold the kids and have them pin on the bow tie! 10. Snake Eyes – Decorate water bottles with snake eye lids, then hide matching pairs of Halloween themed prizes in them. Place them in the mailing tube structure and let the kids take turns pulling two randomly. If the prizes match, they get to keep them! Title picture is courtesy of Better Homes and Gardens.